The 1942 Himmler presentation bears the sun wheel and torch motif and is again manufactured in pure white. 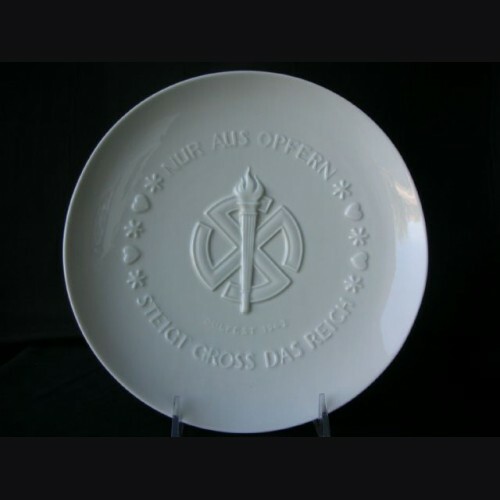 The Himmler Juhlfest plates start in 1939 I believe and run to 1944 where production ends with the war. Obtaining all of these can be a chore as the early examples rarely come to market. This is a mint example for the year 1942.